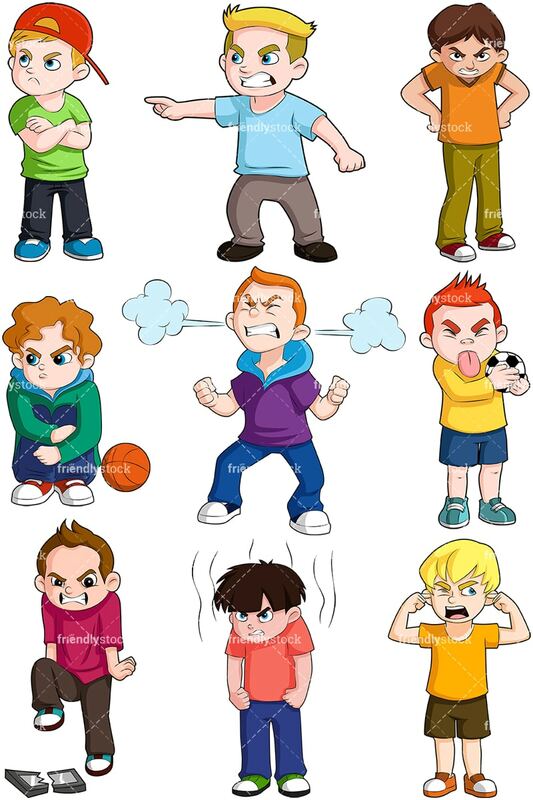 Royalty-free vector clipart of an angry little boy standing up with his fists clenched and steam rising around him. Royalty-free vector clipart of a a little boy with an enraged expression and steam clouds shooting out from his ears. 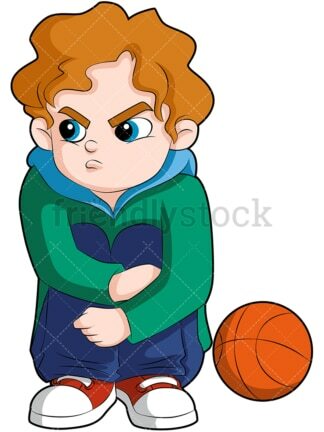 Royalty-free vector clipart of a young basketball player sitting on the sideline looking angry. His arms are crossed over his legs and basketball by his side. Royalty-free vector clipart of vector clipart of a mad little boy standing up covering his ears. His mouth is wide open as he’s yelling. Royalty-free vector clipart of an angry boy losing his temper and destroying a tablet. Royalty-free vector clipart of a furious young boy with his hands on hips giving a mean look. His scowl says you better run! 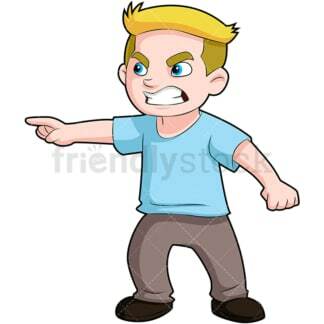 Royalty-free vector clipart of an angry young boy pointing his finger at something and scowling. He’s leaning and looking to the side where he’s pointing. 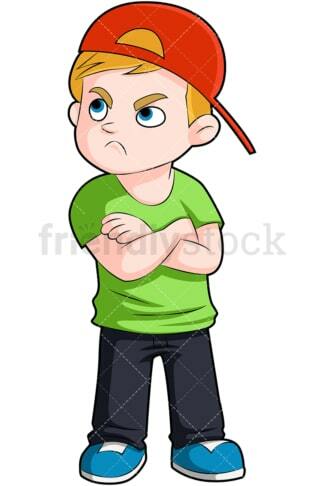 Royalty-free vector clipart of a young boy in a baseball cap with his arms crossed, looking upset. He’s frowning as if pouting. 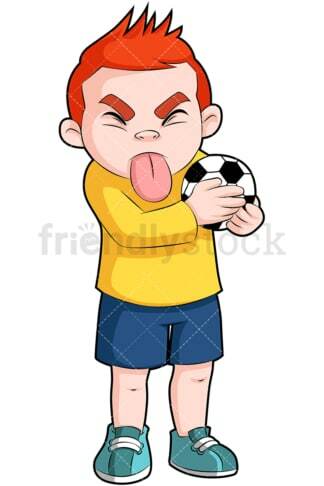 Royalty-free vector clipart of a little boy with red hair sticking his tongue out behaving like a poor sport while holding a soccer ball.